See that beautiful stack bracelet above? It's up for grabs courtesy of Sara Helene Designs! It'd be a perfect Valentine's Day gift to yourself. Handmade in Sweden and retailing for $62, this super adorable bracelet features wooden, glass, and silver dust beads. Although designed for Valentine's Day it's the perfect accessory all year-round. One winner will be selected and announced on Valentine's Day next Thursday the 14th. Good luck! I love their sweetheart bracelet. Their stuff is gorgeous. Love the macrame and the turquoise glitter bomb and white dust bracelets. So much cute stuff! Love the turquoise glitter bomb! Absolutely adorable! Great give away! I love these plain little Macrame ones, so cute! I love, love, love the hot pink and gold bracelet! These bracelets are adorable! I love the turquoise and white resin stretchy bracelets. Oh, I can't wait to win! Ooh, that turquoise is perfect. Yes to everything though - it's not fair having to pick just one favorite. The Pink and Turquoise Macrame are my favs! Great giveaway! I just found your blog! I love the turquoise! Oooh I like the Skull Arm Candy!! I love the colors shes uses! Love the white resin bracelet! The turquoise resin bracelet is so cute! Because Two Giveaways are Better Than One! 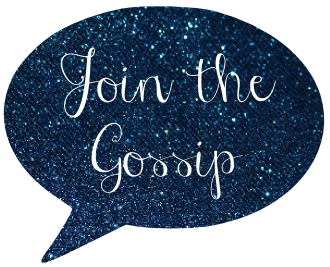 Monday Morning Gossip + A Giveaway!